Yes, Ramona Singer’s ex-husband Mario Singer is back on The Real Housewives of New York City, and it may have been even more shocking than when Aviva Drescher slammed her prosthetic leg on a table during a confrontation with Heather Thomson in Season 6. In a recent interview with Entertainment Tonight, the 62-year-old reality star opened up about her ex making a cameo on the show, saying, "You know being with Mario, filming with him, it's just kind of déjà vu." Though she didn’t reveal any details on their reunion on the hit Bravo reality show, she did offer up a few choice words: "You'll have to watch what happens; you'll see." 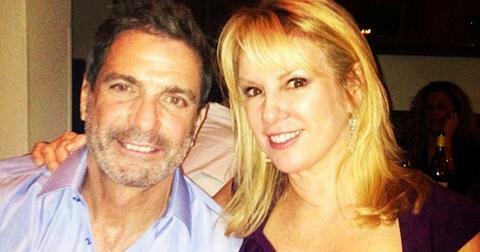 So, why did Ramona and Mario divorce? As fans of RHONY may remember, the former couple separated in 2014 after it was revealed that Mario, 64, was having an affair. 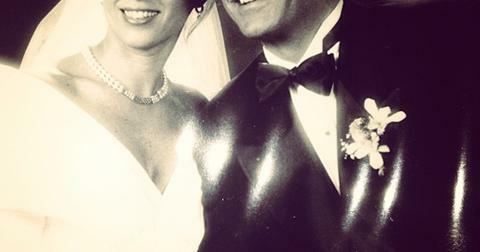 The two were previously married for more than 20 years and officially divorced in 2016. While the two have put aside their differences following Mario’s cheating scandal, the road paved was definitely a long one. Rumors of an alleged affair started to swirl in 2013 after Page Six reported the news that Mario was seeing a 20-something-year-old female he met in the Hamptons that summer. In a 2014 confrontation, Ramona reportedly found her (now) ex-husband and his mistress, Kyle "Kasey" Dexter, 27, at their shared Southampton home. Though the couple attempted to reconcile a few times, Ramona decided to end her marriage after she alleged that Mario was still contacting his lover. She confirmed to the outlet that she attempted to initially fix her broken marriage, but could no longer trust him, saying. "I knew he was lying. I knew something was weird." Ramona and Mario aren't getting back together any time soon. Tensions may have been running high with the ex-couple; however, Ramona and Mario have put their differences aside and are in a better place. "We’re friends. We share a daughter together — and, listen, he was a really great husband and father for so many years, he really was, that’s why we were married for over 20 years," she told ET. On Season 11 of RHONY fans will get to see a whole other side of Ramona aka the reality star revealed she’s back on the dating wagon! "You’re going to see me dating and you know, dating isn’t easy, and you just have to make it fun because what else can you do? You have to keep a chipper attitude," Ramona added. "I’m definitely ready to connect with someone great in my life. If it happens it happens. If it doesn’t, it doesn’t. But hey, I’m going to try." What is Ramona and Mario's daughter up to? Ramona’s daughter Avery, 23, has been making moves, both personally and professionally. In June, the reality star posted a pic with her daughter, writing, "Moving into her own NYC apartment next week. It's bittersweet." Avery graduated college and has been working in finance. Ramona is certainly a #proudmom as she told the Daily Dish last year, "She said to me, 'Mom, I really want to be very successful financially in life, so what career should I pursue if I wanted to be very successful financially?' I said, 'Well to me, where the most financial success is either Wall Street finance, [or] real estate or computer technology.' So she chose finance 'cause she's really good with numbers. She's like me, she likes numbers." Watch new episodes of The Real Housewives of New York on Wednesdays at 9 p.m. ET on Bravo. 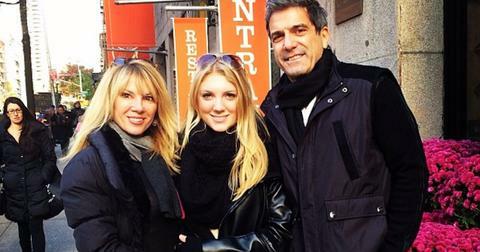 Has 'RHONY' Star Tinsley Mortimer Moved on From Ex Scott Kluth Already? Here's Why 'RHONY' Star Dorinda Medley Can't Stop Screaming "Jovani"